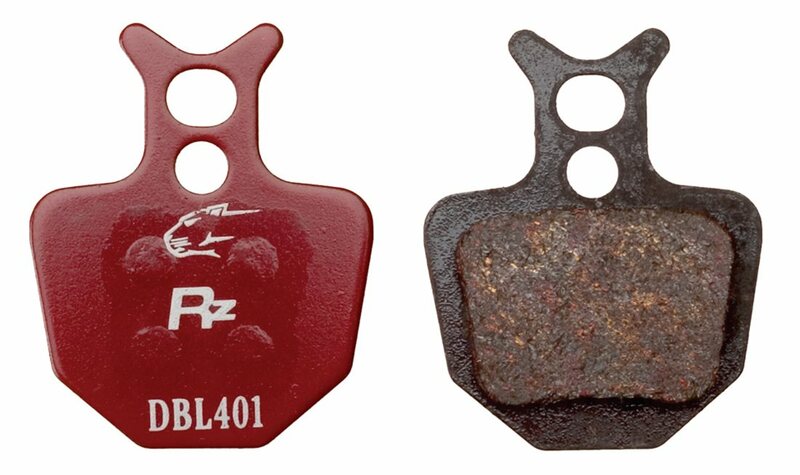 The Jagwire Compatible Disc Brake Pad is constructed of a semi-metallic compound. Works better than the OE pads that came with my Formula Oro brakes. I will be replacing my rear pads with these when they wear out. Anyone with shimano LX and aren't happy with the braking, try these. Stopped the squeaking and now I can do stoppies effortlessly. I don't even have to lean forward, just hit the front brake and bam! Now They're just s good as my hayes hfx! Seriously! Arrived very quick, as always. Well packaged. A tight squeeze. Will have to sand down. These pads were impossible to install. I'm not sure if my rotors are too thick, or the pads are too thick, or my calipers are messed up, but there is no way to put them in without the wheel just being constantly locked in place. I compared them to another pair of formula pads at a bike shop and they were the same thickness, so I don't think ill return them. These were half the price of what the shop wanted. I'll have to find a belt sander somewhere though and do some post-manufacturing modification.